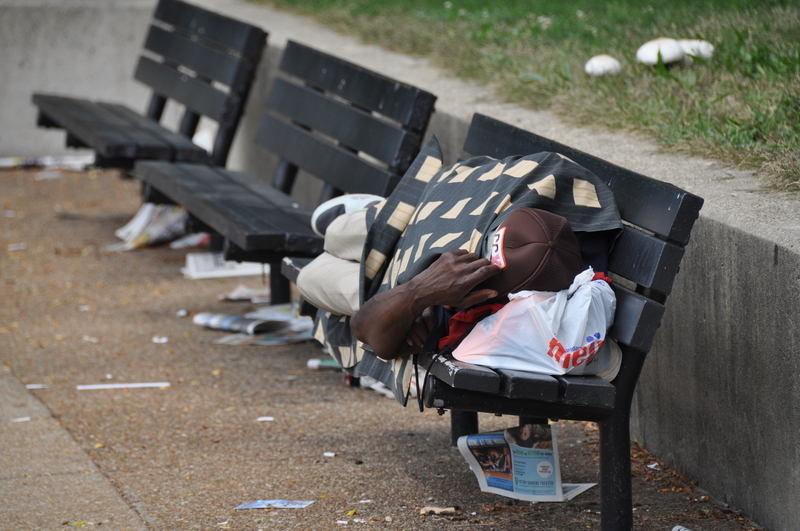 A homeless man sleeps on a park bench in Daley Bicentennial Plaza right off of Randolph street. This entry was posted in Chicago, Life, Parks. Bookmark the permalink.